What do you do: Sr. Consultant for Razorfish Technology Platforms helping organizations plan and implement national and global eCommerce solutions. Founder, Dotfusion Digital Agency and founder of a newly formed company called the Analytics Bus Company that provides advanced digital and web analytics from a uniquely mobile fleet of Volkswagen Westfalias. Hobbies: Mountain Bike racing around the world, roaming around exploring canyons and producing discerning deep house music with my buds. How did you find the BoomCase? Wandering around SF and walked into Digital FX – Dude was playing Rewinding by Elderbrook in the back room. So far the BoomCase is the only solution that provides mobile, battery powered, rich bass sound to power background soundtracks to beach parties that also fits nicely in the bus. What interested you in the BoomCase? Portability, Quality, style and specs. What do you do with your BoomCase? 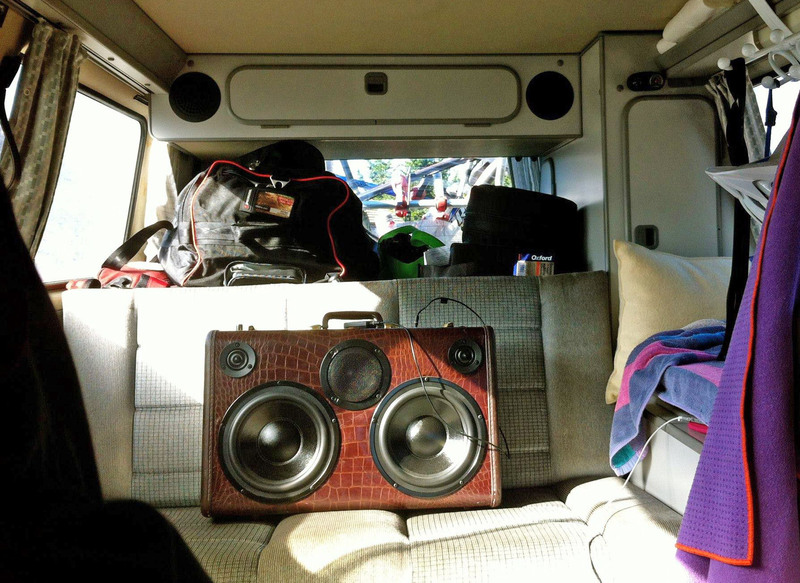 Product music in the bus, have random beach parties, play tunes to compliment beers after mountain bike races. Where have you taken your BoomCase? 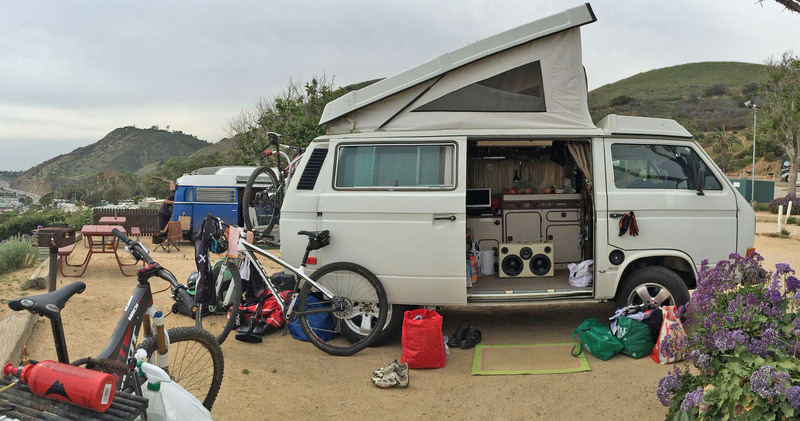 All over – they live in 2 Westy’s – Lou the West Coast Bus and Barta the East Coast bus. Everywhere from Toronto to Virgina and from Vancouver to LA. When do you use your BoomCase? Everywhere the bus goes 🙂 At home in the winter. Has the BoomCase helped you in anyway? 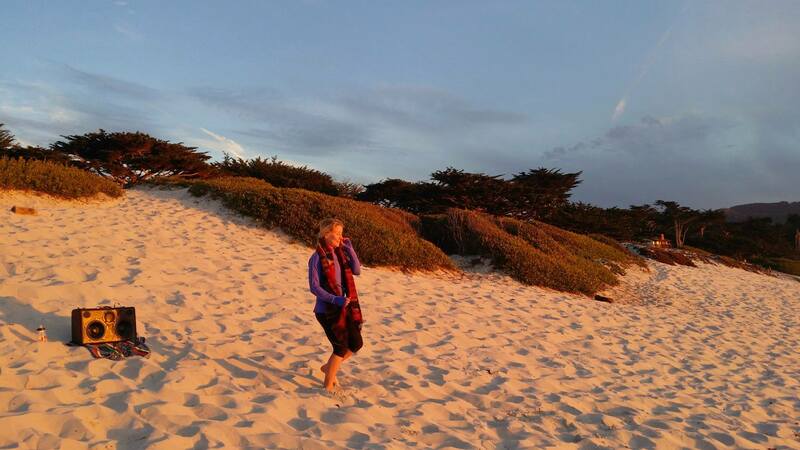 Yes, it has satisfied many a soul on many an adventure. Any stories you would like to share involving your BoomCase? Many but mostly it proved to be an integral projector of awesome soundtracks to a month long road trip I took last year with my kid sister from Toronto to California and everywhere along the way. Once we hit the cost we had sunset dance parties on the beach every night for 10 days slowing roaming down the West coast. Anything else you would like to share to make the world a better place?